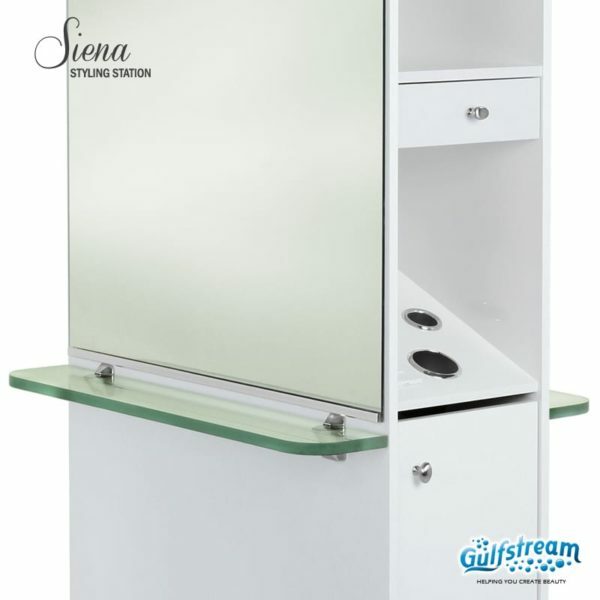 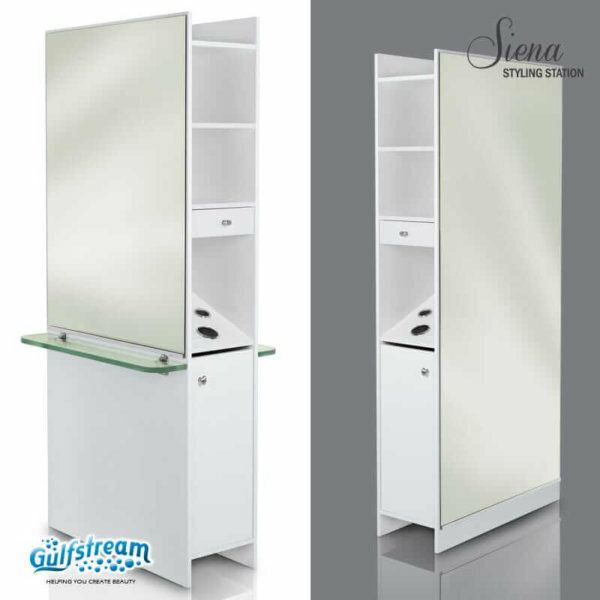 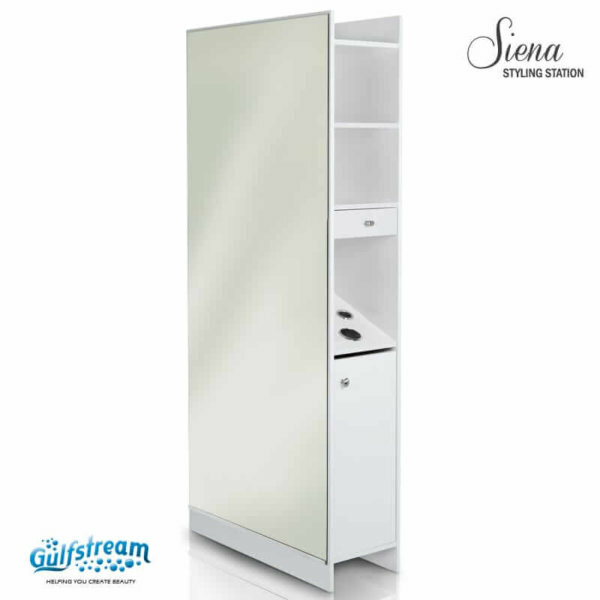 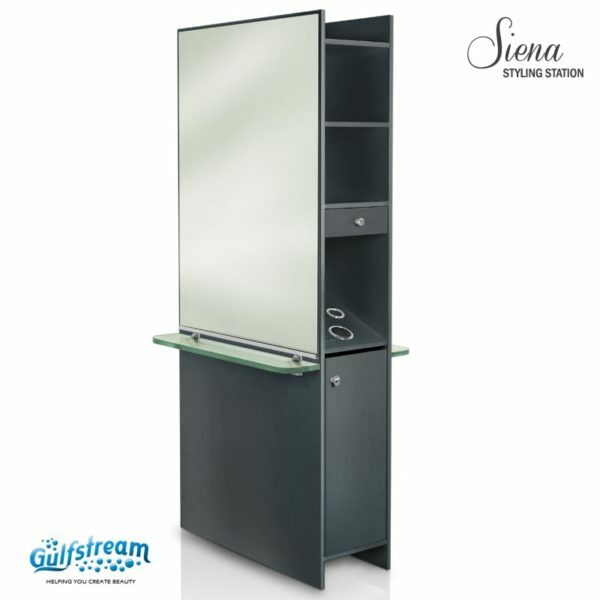 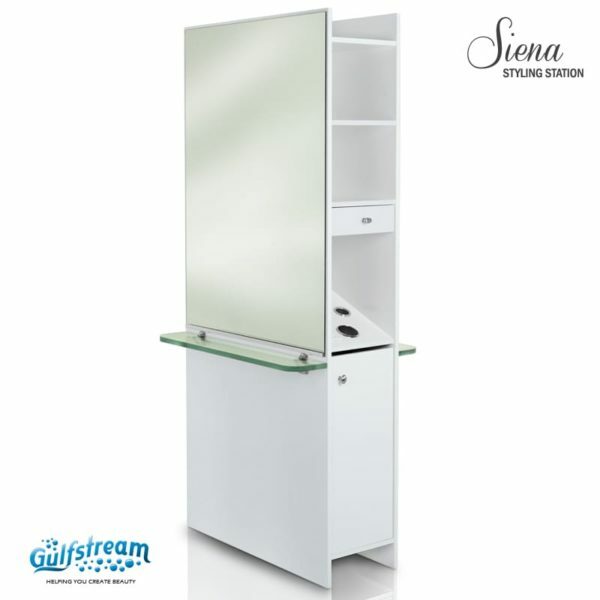 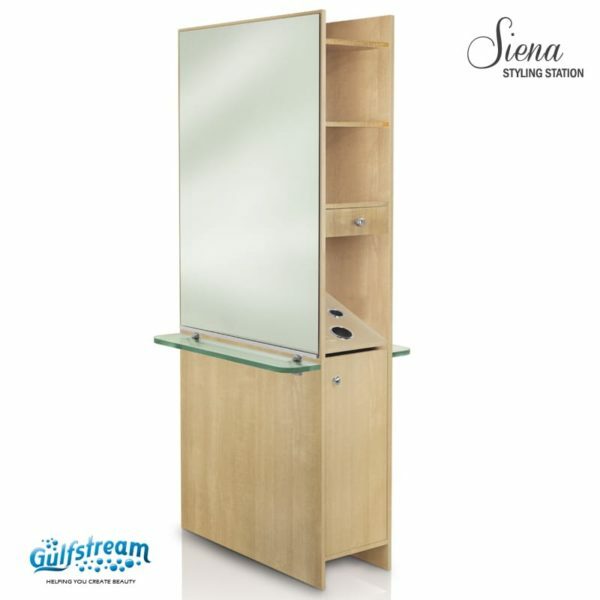 Sienna Styling Station | Gulfstream Inc.
Sienna Styling Station is available with full-length mirror and half length mirror with sleek glass shelf. Gulfstream’s top-selling styling station minimizes clutter and hides unsightly cords with spacious storage and convenient closets on each side. The Sienna features 2 appliance holders on both sides of this appealing station.